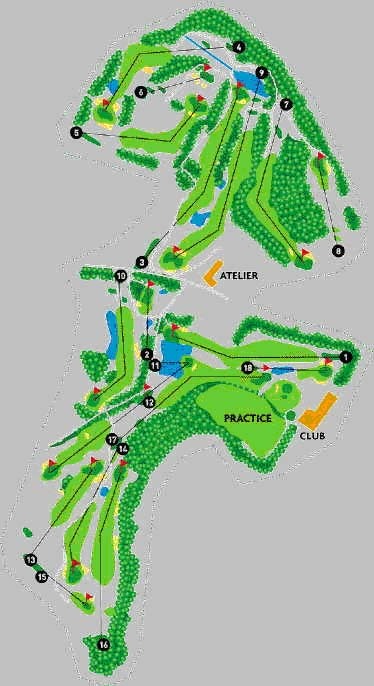 Description: This course has been carved out of the heart of the courbre forest. The sloping fairways are narrow, lined with tall pines and mimosa. Superb views over the trees to the Atlantic.